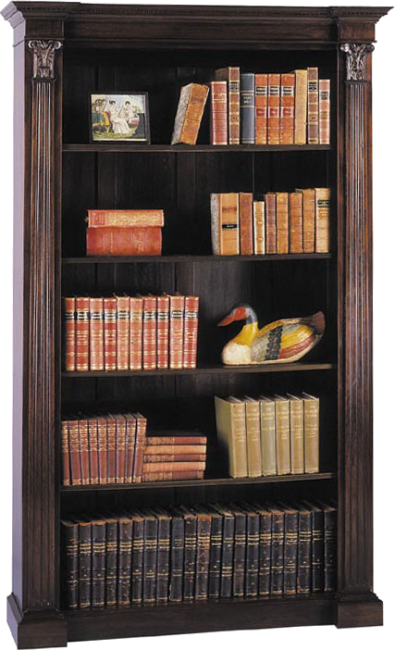 Open bookcase with hand carved fluted columns and capitals. Adjustable shelves and plinth base. Available with lights and glass shelf inserts. Pictured in Mahogany.